The Playgirls The Playgirls theplaygirls theplaygirls the playgirls the playgirls are the best all girl rock band in the UK. 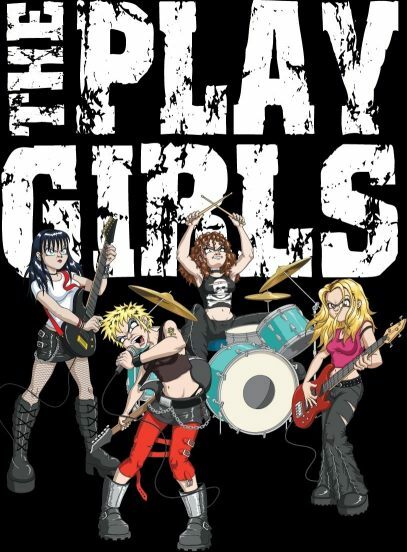 The Playgirls play rock covers by bands such as Skunk Anansie, The Offspring, Green Day, Nirvana, Wheatus, Metallica, Feeder, The Foo Fighters, Blink 182, Nickelback, Stiltskin, Hole, Garbage, The Hives, Blur, A, Puddle of Mudd, Audio Slave, Weezer, Primal Scream, AC/DC, Led Zeppelin, and Thin Lizzy. The Playgirls play bike rallies, festivals and rock venues all around the UK. The Playgirls are the ultimate girl band and one of the best bike rally bands on the circuit and love motorbikes and loud rock music. The Playgirls play rock, heavy rock, punk, grunge and metal. The Playgirls are good friends of Girlschool, probably the only other girl rock band in the UK. The Playgirls play regularly around London and Kent. If you enjoy seeing a good girl band rock, come and see The Playgirls.